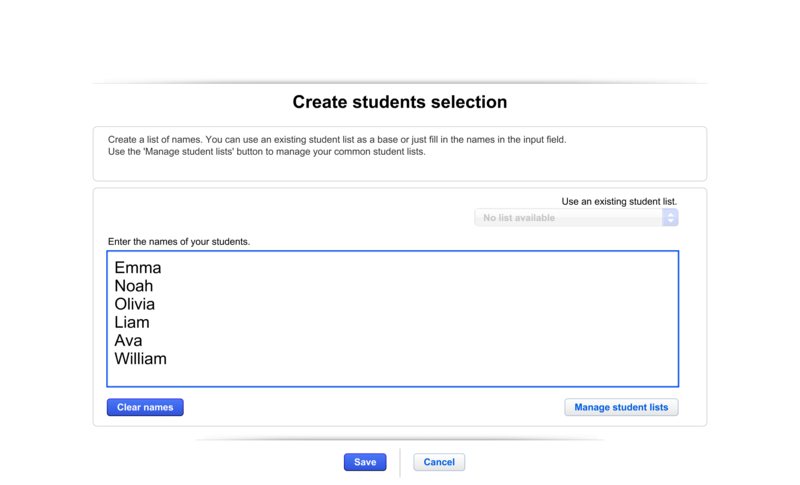 In this guide I’m going to teach you how to create and use student lists in our “Name order and group creator” tool. 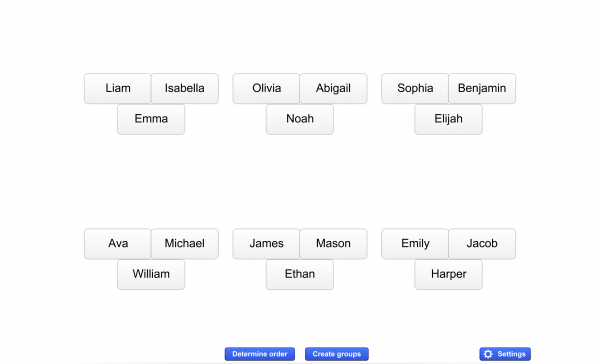 This tool will help you easily create partners and groups or chose students at random for Gynzy activities and classroom projects. First thing you are going to do is add a list (or lists) of student names into the tool to use later. You can save as many student lists as you want, so you can enter multiple classes or break up one class into sub-groups if needed. 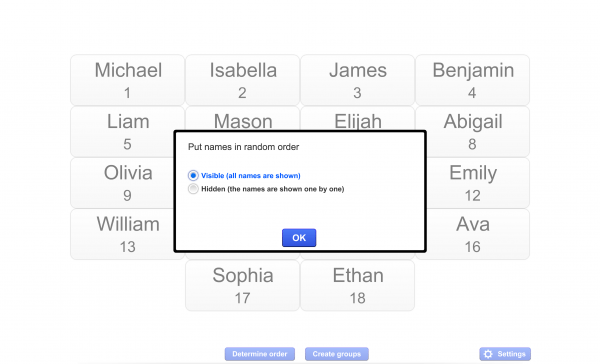 The first time you open the tool, you will get this screen and you will choose “add names” to get started. Once you’ve entered at least one list of names you will then be able to create/edit student lists through the “settings” button at the bottom right-hand side of the tool. At this point, there are two ways to continue, the simple “save and go” method for creating one list to use quickly and easily; or using the “Student list manager” which will allow you to create and name multiple lists for future use. 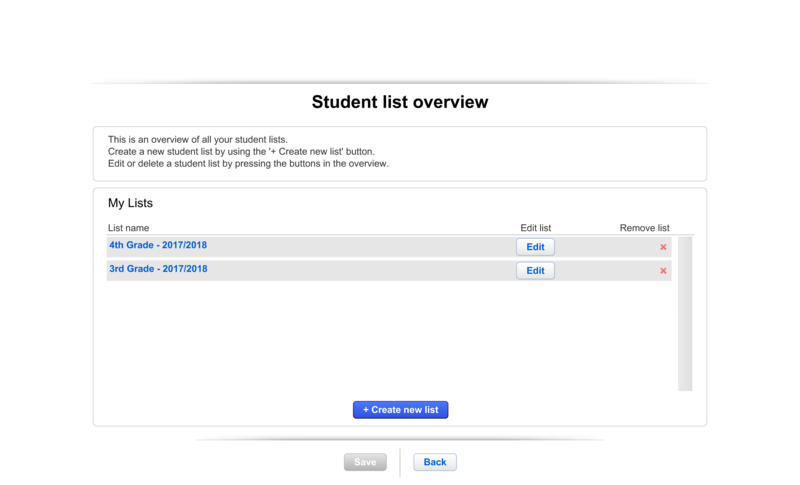 I strongly recommend the use of the “Student list manager”, mainly because any list created there is automatically integrated into a handful of our other tools like “Student attendance“, “Pick your partner“, “Classroom Floorplanner” and “Behavior Buddy“. 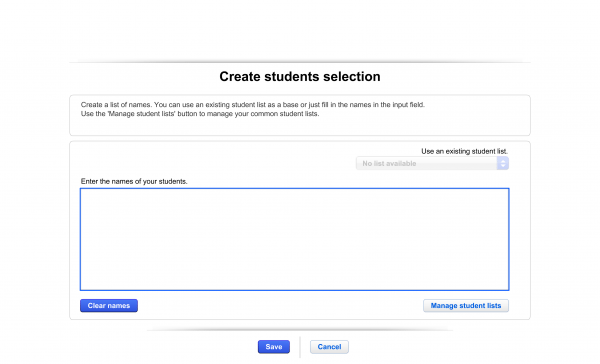 I will first show you how to use the “Student list manager” and then the “save and go” method. Once you are in the “Create Students Selection” screen, you will now click the “Manage student list” option at the bottom right-hand side of the screen. 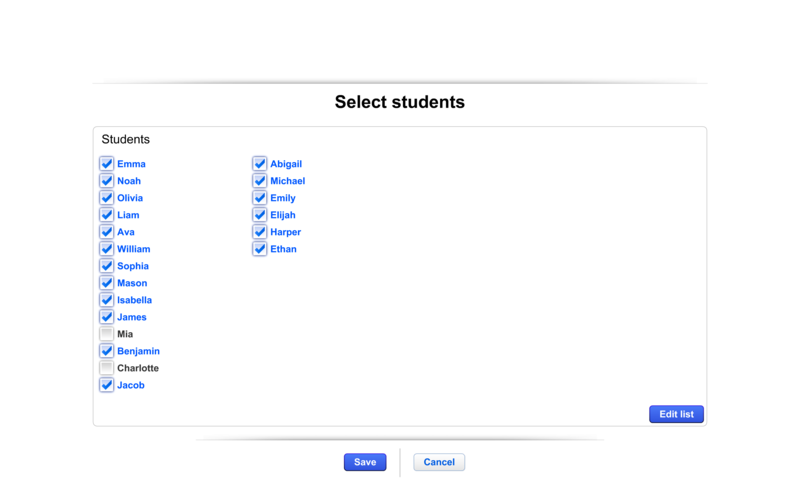 Once you have this screen open you can add the students (as shown below) and give the list a title. Once you’re done, click the “save” button to enter the list. 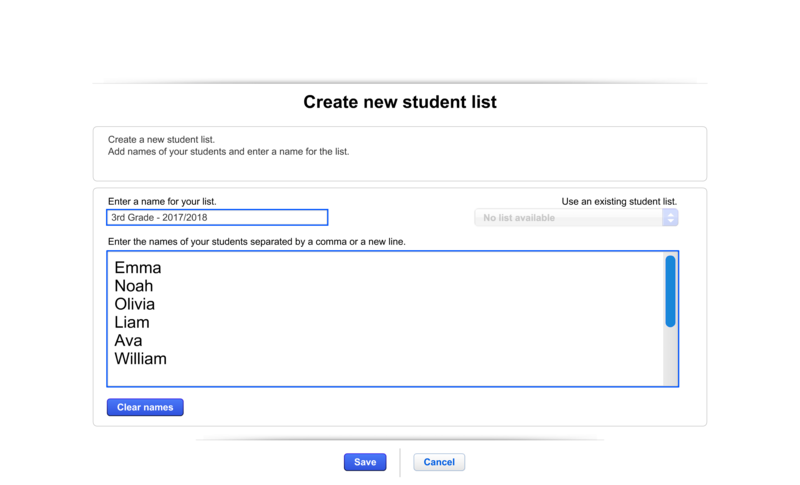 Now that you have entered the list, you will see your list has been added to the Student List Manager and can be selected for use. As I mentioned earlier, you can add as many lists as you need! You can now click the “back” button to select which list you want to use at this time. Once you are on that screen, go to “Use existing student list”, choose your list and then select “Save” to use this word list now. 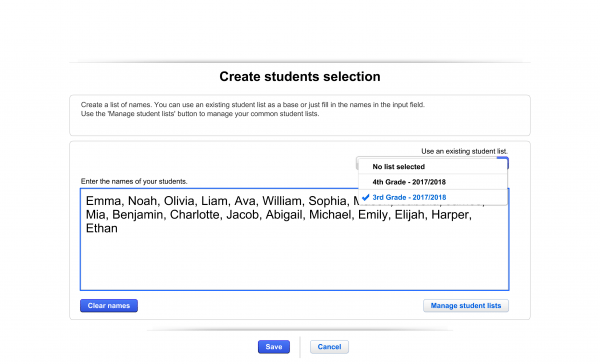 To use this tool the more simple way, you will enter all the student names directly into the “Create Students Selection” text box and ignore the “Manage student list” option. When you have entered the list, click “save” to use it! But please note that you will only be able to use this list from this screen and will not be able to name/save it for continued use. Once you have created or selected the preferred list (through either of the previously described processes), you will now be given the option to “deselect” certain students. 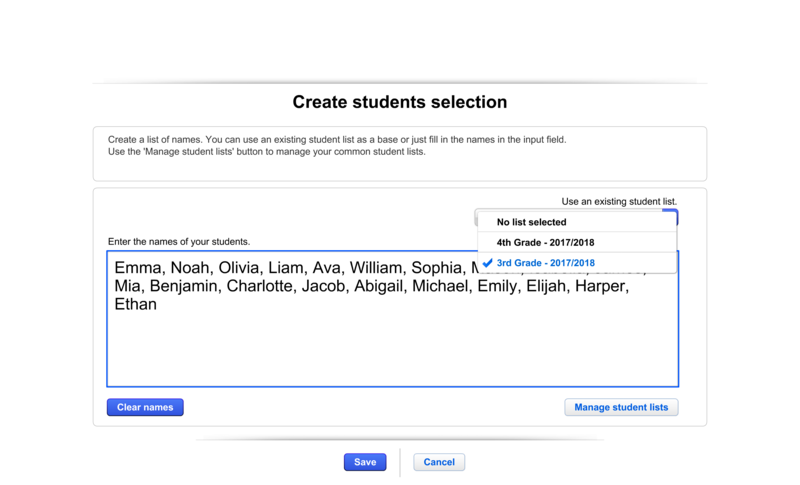 Here, you can click the “checkbox” next to a name to remove a student who might be home sick today or not participating for another reason. 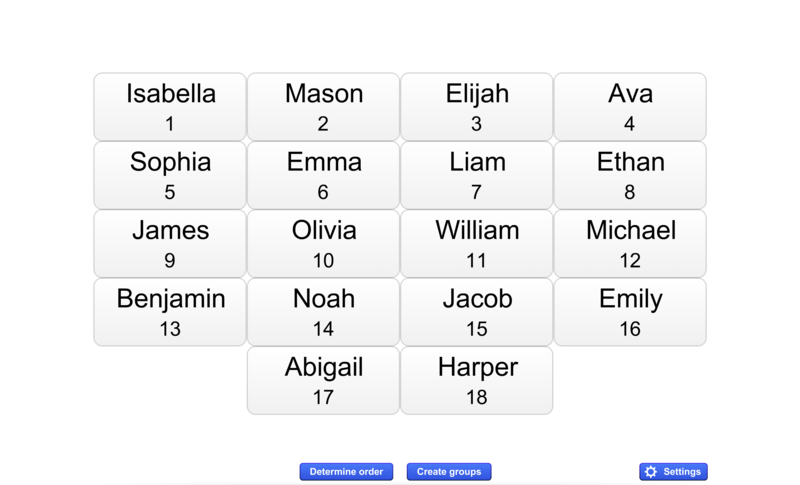 Once you press “Save”, the tool will display the selected students in a numbered, but randomly ordered, list as seen below. Click “Determine order” again, to use the other option, “Hidden (the names are shown one by one)”. The tool will now display each name as a flash card on its own. 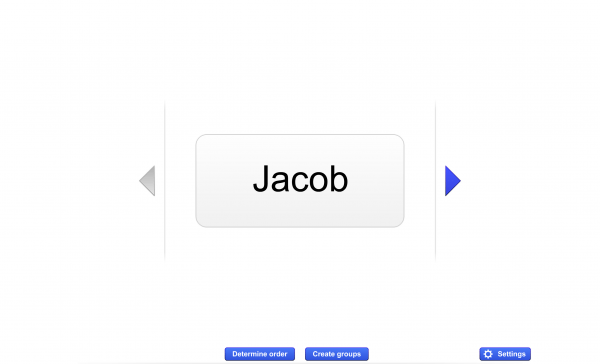 You can use the arrows to go through each student one by one, in a random order. The other main use of this tool is to randomly create groups of students for an activity. To do this, press the “create groups” button towards the bottom-middle of the screen. 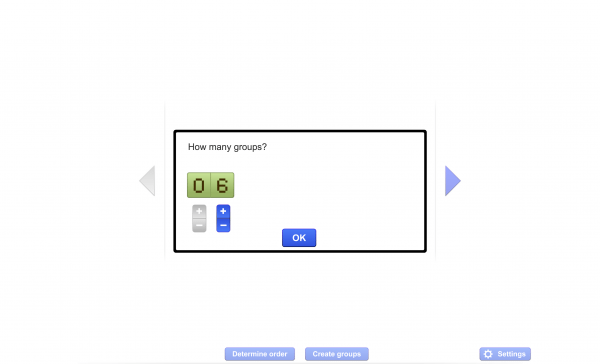 You’ll then see the following screen popup and you can choose how many groups you want to divide your students into. 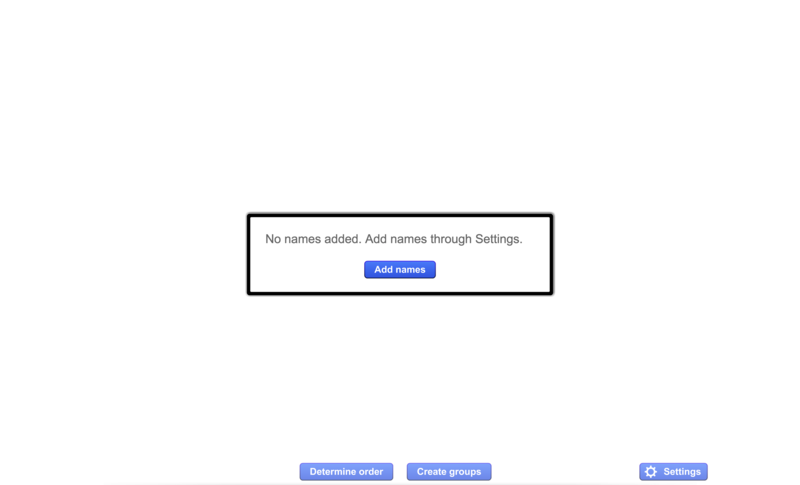 Click “OK” to display the groups on the board. 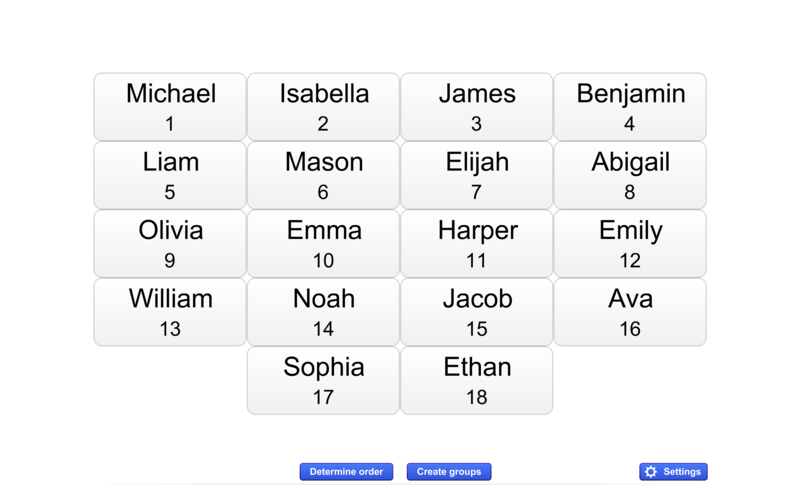 Your randomly-selected groups will now be presented for you and your class to see up on your board screen! Your class will be able to see how you created the groups and will know that they were chosen in a “fair” way. 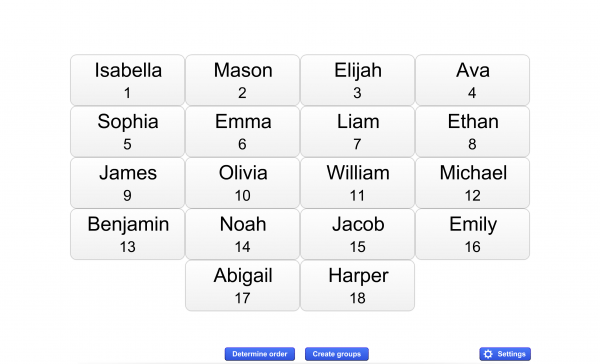 How about you try this out and create a list of your own students now! Do you need more help? Don’t hesitate to contact me at support@gynzy.com.